An electrocardiogram, or ECG test, is used to monitor your heart. Each beat of your heart is triggered by an electrical impulse normally generated from special cells in the upper right chamber of your heart. An electrocardiogram — also called an ECG or EKG — records these electrical signals as they travel through your heart. Your doctor can use an ECG test to look for patterns among these heartbeats and rhythms to diagnose various heart conditions. An electrocardiogram is a noninvasive, painless test. The results of your ECG test will likely be reported the same day it’s performed, and your doctor will discuss them with you at your next appointment. 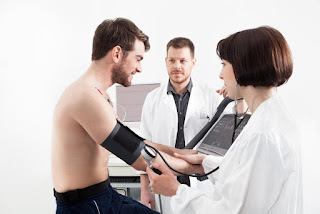 Why is an ECG test performed? An electrocardiogram is a safe procedure. There may be minor discomfort, similar to removing a bandage, when the electrodes taped to your chest to measure your heart’s electrical signals are removed. Rarely, a reaction to the electrodes may cause redness or swelling of the skin. A stress test, in which an ECG is performed while you exercise or after you take medication that mimics effects of exercise, may cause irregular heartbeats or, rarely, a heart attack. These side effects are caused by the exercise or medication, not the ECG itself. There isn’t any risk of electrocution during an electrocardiogram. The electrodes placed on your body only record the electrical activity of your heart. They don’t emit electricity. No special preparations are necessary. However, avoid drinking cold water or exercising immediately before an electrocardiogram. Cold water can produce potentially misleading changes in one of the electrical patterns recorded during the test. Physical activity, such as climbing stairs, may increase your heart rate. An electrocardiogram can be done in the doctor’s office or hospital, and is often performed by a technician. After changing into a hospital gown, you’ll lie on an examining table or bed. Electrodes — often 12 to 15 — will be attached to your arms, legs and chest. The electrodes are sticky patches applied with a gel to help detect and conduct the electrical currents of your heart. If you have hair on the parts of your body where the electrodes will be placed, the technician may need to shave the hair so that the electrodes stick properly. You can breathe normally during the electrocardiogram. Make sure you’re warm and ready to lie still, however. Moving, talking or shivering may distort the test results. A standard ECG takes just a few minutes. Holter monitoring. Also known as an ambulatory ECG monitor, a Holter monitor records your heart rhythms for an entire 24-hour period. Wires from electrodes on your chest go to a battery-operated recording device carried in your pocket or worn on a belt or shoulder strap. While you’re wearing the monitor, you’ll keep a diary of your activities and symptoms. Your doctor will compare the diary with the electrical recordings to try to figure out the cause of your symptoms. Event recorder. If your symptoms don’t occur often, your doctor may suggest wearing an event recorder. This device is similar to a Holter monitor, but it allows you to record your heart rhythm just when the symptoms are happening. You can send the ECG readings to your doctor through your phone line. Stress test. If your heart problems occur most often during exercise, your doctor may ask you to walk on a treadmill or ride a stationary bike during an ECG. This is called a stress test. If you have a medical condition that makes it difficult for you to walk, medication may be injected to mimic the effect of exercise on the heart. Usually, your doctor will be able to tell you the results of your ECG the same day it’s performed. If your electrocardiogram is normal, you may not need any other tests. If the results show there’s a problem with your heart, you may need a repeat ECG or other diagnostic tests, such as an echocardiogram. Treatment depends on what’s causing your signs and symptoms. Heart rate. Normally, heart rate can be measured by checking your pulse. But an ECG may be helpful if your pulse is difficult to feel or too fast or too irregular to count accurately. Heart rhythm. An ECG can help your doctor identify an unusually fast heartbeat (tachycardia), unusually slow heartbeat (bradycardia) or other heart rhythm irregularities (arrhythmias). These conditions may occur when any part of the heart’s electrical system malfunctions. In other cases, medications, such as beta blockers, psychotropic drugs or amphetamines, can trigger arrhythmias. Heart attack. An ECG can often show evidence of a previous heart attack or one that’s in progress. The patterns on the ECG may indicate which part of your heart has been damaged, as well as the extent of the damage. Inadequate blood and oxygen supply to the heart. An ECG done while you’re having symptoms can help your doctor determine whether chest pain is caused by reduced blood flow to the heart muscle, such as with the chest pain of unstable angina. Structural abnormalities. An ECG can provide clues about enlargement of the chambers or walls of the heart, heart defects and other heart problems. There are different types of tests, but they are all meant to find out the same thing: how your heart performs when it is working hard or under stress. In an exercise stress test, you walk or jog on a treadmill with electrodes attached to your chest. Images of your heart are taken while you exercise. An imaging stress test uses heart ultrasound (also called stress echocardiography) to take pictures of your heart. This is done first while you are at rest. Next, more pictures are taken while your heart is working hard or being stressed. A nuclear cardiology test uses a small amount of a radioactive substance to take pictures of your heart while it is being stressed. 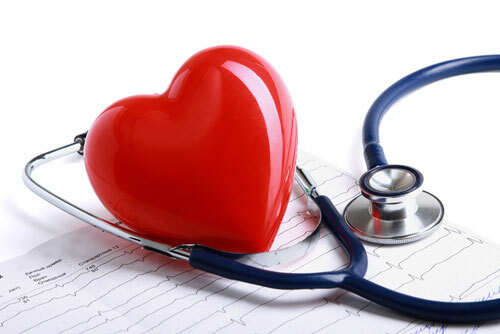 Heart stress tests can show if you have significant heart disease. Serious heart disease could put you at risk of having a heart attack or another serious complication during surgery. The test results may lead to special care before, during, or after surgery. The test results may also prompt your care providers to delay the surgery or change to a less invasive kind. But the risk of heart complications from a breast biopsy, eye or skin surgery, a hernia operation, or other “same-day” surgeries is very low. The risk is so low for minor surgeries that even most people with heart disease do well. If you feel well and are physically active, your chance of having significant heart disease is low. So you usually don’t need a stress test, even for major surgeries. The tests are usually very safe and some can be done with little or no radiation. But if your risk of having a heart problem is low, they are more likely to result in false alarms. These can cause anxiety or an unnecessary delay of surgery, or lead to more tests. For example, if your stress test results are not normal, you might have a follow-up coronary angiography (cardiac catheterization). During this test, a catheter is inserted into the heart through an artery, dye is injected, and X-rays are taken. The risks are low, and complications are rare. But the test can lead to bleeding or a heart attack, and sometimes death. Also, exposure to radiation adds up over your lifetime, so it’s best to avoid X-rays when you can. An exercise stress test costs more than $200, and an imaging stress test costs as much as $2,000, but in Canada all costs of tests covered by OHIO. If abnormal results lead to coronary angiography, that can add thousands more to the cost. When are stress tests needed before surgery? Usually, stress testing should be done only when the results would change the plan for your surgery. You might need a stress test before surgery if you have a serious heart condition. This includes uncontrolled heart failure or severe valve disease, chest pain or trouble breathing, or you get tired or winded more easily than you did before. You are having intermediate-risk surgery, such as knee or hip replacement, or high-risk surgery, such as bypass surgery for a blocked artery in your leg. And you have diabetes, kidney disease, or a history of coronary artery disease, heart failure or stroke. And you have a hard time walking a short distance or climbing stairs. 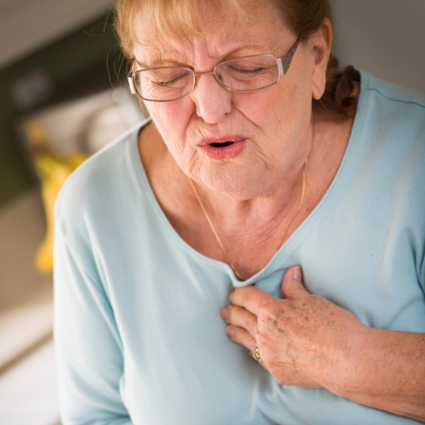 In most cases, people experience chest pain as a result of plaque buildup in the arteries. Over time, plaque can stick to artery walls, which reduces blood flow to the heart and increases risk for heart attack. Fortunately, there are many ways to treat this condition, which can minimize symptoms and lower cardiovascular risk. However, not all cases are so clear cut. Some patients have a mysterious condition called cardiac syndrome X, where they have perfectly healthy arteries yet experience unexplained chest pain. To this date, we lack a full understanding of cardiac syndrome X and are unclear on the causes, possible complications, and ways to treat this condition. However, a recent study published in the Journal of the American College of Cardiology identified an important link between cardiac syndrome X and inflammation in the arteries. Inflammation or swelling in the arteries is closely associated with heart disease risk, and is measured using C-reactive proteins—important markers of inflammation found in the blood. In this study, researchers enrolled 21 patients with cardiac syndrome X and measured their levels of inflammation using a test for C-reactive protein. They also used a positron emission tomography (PET) scan to test blood flow and see how healthy patients’ arteries were. After analysis, researchers found that patients with cardiac syndrome X and inflammation had less-healthy blood flow compared to those without inflammation. And less than normal blood flow can be a sign of small vessel disease, also referred to as coronary microvascular disease, which can increase risk for a heart attack. So what does this study tell us about the mysterious cardiac syndrome X? This was the first study to show a direct relationship between inflammation, reduced blood flow and cardiac syndrome X in patients without the usual risk factors for heart disease. Patients in this study were otherwise healthy individuals, and experienced unexplained chest pain with no sign of heart disease. Although we don’t know exactly what causes cardiac syndrome X, it’s possible that inflammation may play an important role in this condition. And the closer we get to understanding the cause of cardiac syndrome X, the more we can do to help treat and relieve symptoms, and improve outcomes in patients with this condition. Comprehensive cardiac evaluation, testing and risk stratification, including individualized programs tailored toward patients’ needs. Preventive cardiology is also a complete team approach. Clinicians, physical therapists, trainers nutritionists and therapists all work together to educate patients about lifestyle changes that dramatically impact cardiac risk reduction. The cardiologist play a key role in managing the patients medically. We always let patients know they can benefit from nutrition and exercise, stress management and integrative medicine classes that focus on their unique needs. When necessary, medicine can also be part of the treatment plan. At Stamford Health, we offer all of the above. However, cardiologists work closely with your primary care physicians, as well as staff and providers in cardiac rehabilitation and the Center for Integrative Medicine and Wellness so that you can have a holistic approach to your care. What is most gratifying for me as a physician is having a patient realize for themselves the dramatic impact lifestyle changes have on their life. They can come off their medication, have greater mobility and feel more in control of their health. That makes me feel as though I’ve really made a difference. Myocardial infarction or heart attack is among the leading causes of death today. It is a serious health risk and several people suffer from a heart attack every year. Heart attack or myocardial infarction causes permanent damage to the muscle of the heart. It is caused by decreased blood flow to the heart, depriving the muscles of the heart of oxygen. The death is caused when the patient cannot reach the hospital in time after an attack. If the patient reaches the hospital in time, there is a 90 percent chance of survival of the patient with the modern treatment options available today. Decreased oxygen level affects the heart function. A heart attack is usually confused with cardiac arrest. In cardiac arrest, the heart stops working and death is imminent. If the heart attack is severe, it can result in cardiac arrest. Here are the signs and symptoms of heart attack in men. 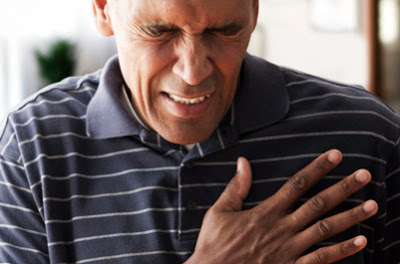 Chest pain is the main symptom of a heart attack. Sometimes, you may not experience chest pain at all. You may feel fullness, pain, slight pressure and squeezing in the center of your chest. The pain lasts over a minute then subside and then return. The pain can even spread to your back, shoulder, and arms. You will also experience pain in your neck, jaw and upper torso. During a heart attack, you will experience discomfort in the center of your chest. The discomfort usually lasts for a couple of minutes, then subside and then return. You will experience trouble is breathing during or before the heart attack. You will find it difficult to breath and this can happen with or without the chest pain or discomfort. This symptom is less common but is possible during a heart attack. The feeling of sickness or nausea along with burping or belching has been reported by many patients. The pain that starts in the center of the chest spread down the arms and to the back. But, headaches and toothaches have been reported by many patients during a heart attack. Sometimes, the patient also feels dizziness and fainting. Coronary artery disease (CAD) causes impaired blood flow in the arteries that supply blood to the heart. Also called coronary heart disease (CHD), CAD is the most common form of heart disease and affects approximately 16.5 million Americans over the age of 20. It’s also the leading cause of death for both men and women in the United States. It’s estimated that every 40 seconds, someone in the United States has a heart attack. A heart attack can come from uncontrolled CAD. The most common cause of CAD is a vascular injury with cholesterol plaque buildup in the arteries, known as atherosclerosis. Reduced blood flow occurs when one or more of these arteries become partially or completely blocked. These arteries bring oxygen and nutrient-rich blood to your heart. Your heart is a muscle that’s responsible for pumping blood throughout your body. According to the Cleveland Clinic, a healthy heart moves approximately 3,000 gallons of blood through your body every day. Like any other organ or muscle, your heart must receive an adequate, dependable supply of blood in order to carry out its work. Reduced blood flow to your heart can cause symptoms of CAD. Other rare causes of damage or blockage to a coronary artery also limit blood flow to the heart. These symptoms can also be mistaken for heartburn or indigestion. You may experience more symptoms when your blood flow is more restricted. 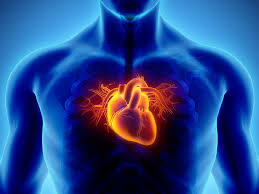 If a blockage cuts off blood flow completely or almost completely, your heart muscle will start to die if not restored. This is a heart attack. Don’t ignore any of these symptoms, especially if they are excruciating or last longer than five minutes. Immediate medical treatment is necessary. Men have a higher risk of developing heart disease than premenopausal women. 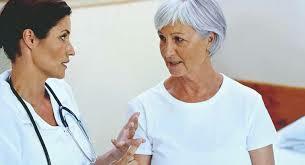 Postmenopausal women by age 70 have the same risk as men. Understanding the risk factors for CAD can help with your plan to prevent or decrease the likelihood of developing the disease. The risk for CAD also increases with age. Based on age alone as a risk factor, men have a greater risk for the disease beginning at age 45 and women have a greater risk beginning at age 55. The risk for coronary artery disease is also higher if you have a family history of the disease. The vascular system delivers oxygen and nutrients to all body cells and removes waste products from tissues. This closed system functions as a pressure system, with blood flowing continuously from high-pressure to low-pressure areas. Injury of a blood vessel compromises the closed system, causing blood to flow out of the injured vessel (now a low-pressure area). With the severe injury to a vessel, the entire circulatory system may be compromised and the patient could die. clot resolution, which returns blood to the fluid state. In many clinical situations, drugs are used to slow or stop this pro­cess, the with the goal of preventing tissue damage from the decreased blood flow that occurs when the clotting process cuts off blood supply to an area. This article reviews the processes the body uses to maintain the cardiovascular system and discusses the mechanisms of action, benefits, and risks of drugs used to alter coagulation. In certain clinical situations—for instance, coronary artery disease, immobility, atrial fibrillation, and joint replacement—interfering with coagulation helps prevent clots that could impede blood flow and cause tissue damage or death. 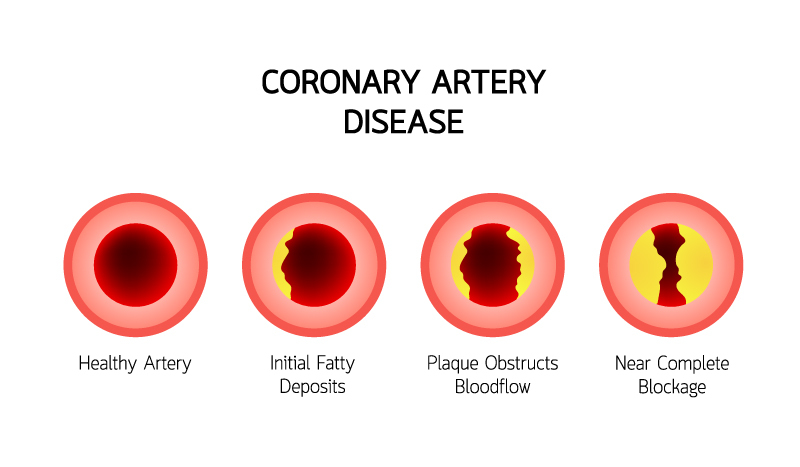 Patients with coronary artery disease, for example, have narrowed vessels. An immobile patient loses the protective massaging of veins caused by muscle fiber contractions; also, blood pools and doesn’t return to the heart efficiently. With atrial fibrillation, blood pools in the heart’s auricles and may clot. The artificial parts of a hip or knee replacement initially may damage a blood vessel, leading to clotting. All drugs that alter coagulation interfere with the normal protective reflexes. As a nurse, you need to be aware of the dangers of eliminating these reflexes, which could include serious or even fatal bleeding episodes. Drugs that alter coagulation include platelet inhibitors and anticoagulants. Platelet inhibitors are often the first line of defense in preventing vascular clots; they don’t affect clots that already have formed. These drugs block platelets’ ability to adhere and aggregate to form the platelet plug—the first step in sealing the vascular system and preventing blood loss into body tissues. Current platelet inhibitors include abciximab (ReoPro), anagrelide (Agrylin), aspirin, cilostazol (Pletal), clopidogrel (Plavix), dipyridamole (Persantine), eptifibatide (Integrilin), ticlopidine (Ticlid), ticagrelor (Brilinta), and tirofiban (Aggrastat). These drugs are used to treat cardiovascular diseases in which vessels become occluded, as well as to maintain venous and arterial grafts and prevent cerebrovascular occlusion. They’re also given as adjuncts to thrombolytic therapy in treating myocardial infarction (MI) and preventing post-MI reinfarction. Ticagrelor, released in 2011, is indicated only to prevent thromboembolic events in acute coronary syndrome. Its black-box warning cites the risk of excessive bleeding and dangers of sudden withdrawal, which can trigger an acute cardiovascular event. Most platelet inhibitors block receptors on platelets to prevent adhesion; anagrelide prevents platelet formation in the bone marrow. Bleeding (including bleeding caused by toothbrushing and excessive bleeding after injury) is the most common adverse effect. Easy bruising also may occur. When caring for patients receiving platelet inhibitors, minimize invasive procedures and take other steps to guard against blood loss. Be sure to teach about self-care. Advise them to avoid injury, use a soft-bristled toothbrush, shave with an electric razor, and avoid contact sports. Encourage them to carry or wear Medic-Alert jewelry that alerts healthcare pro­viders to platelet inhibitor use. Stress the importance of telling all healthcare providers they’re taking a platelet inhibitor—especially dentists, surgeons, and others planning an invasive procedure. Caution patients to check with a physician before taking other agents that alter coagulation, including aspirin, nonsteroidal inflammatory drugs, and certain herbs. Emphasize the need to avoid excessive dosages, because no rapid antidote exists for excessive bleeding caused by drug overdose or overreaction. Teach patients about warning signs of excessive blood loss, and advise them to report these immediately. Although commonly called blood thinners, anticoagulants don’t actually thin the blood. Like platelet inhibitors, they don’t dissolve clots that have already formed but they can prevent the formation of new clots. In patients with clots, deep vein thrombosis, or occluded vessels that have caused an MI or a stroke, clot prevention is crucial, because new clot formation may compound the patient’s problem. Anticoagulants fall into two categories—injectable and oral. These agents act rapidly to directly block the formation of thrombin from prothombin. Clotting changes occur rapidly after injection. Injectable anticoagulants in current use include antithrombin III (Thrombate III), argatroban (Acova), bivalirudin (Angiomax), desirudin (Iprivask), fondaparinux (Arixtra), heparin (generic), and the low-molecular-weight heparins dalteparin (Fragmin) and enoxaparin (Lovenox). Indications for injectable anticoagulants include acute treatment and prevention of venous thrombosis and pulmonary embolism, treatment of atrial fibrillation with embolization, prevention of clotting in blood samples and in dialysis and venous tubing, and diagnosis and treatment of disseminated intravascular coagulation. Be aware that in patients with excessive bleeding caused by anticoagulants, protamine sulfate can be injected as a rapid antidote to restore clotting activity. This drug directly reacts with thrombin, freeing it up to allow clots to form. Also, know that several serious to fatal medication errors have occurred when patients have inadvertently received two anticoagulants at the same time. Such errors are possible when, for instance, a hospital patient is put on a protocol that uses an anticoagulant and then is transferred to another unit, where she receives an anticoagulant from a different protocol. Warnings, labels, and effective communication among nurses at transfer points can help prevent this problem. The major drawback of injectable anticoagulants is that they must be injected. Some patients may be discharged on low-molecular-weight heparin to inject themselves; be sure to teach them proper injection technique and proper disposal of needles and syringes. Advise patients that they must have their blood tested frequently to check crucial coagulation indices. Whole blood clotting time must be maintained at 2.5 to 3 times the control value, or activated partial thromboplastin time (APTT) must be maintained at 1.5 to 3 times the control value. Be sure to provide other protective measures and cover the same teaching topics as for patients receiving platelet inhibitors. Oral anticoagulantsPreviously, warfarin (Coumadin) was the only oral anticoagulant available. In recent years, two new oral anticoagulants have been approved by the Food and Drug Administration. Dabigatran (Pra­daxa) is a direct thrombin inhibitor; rivaroxaban (Xarelto) inhibits activated thrombin. Both stop the coagulation process. Warfarin Warfarin blocks the liver’s use of vitamin K to produce clotting factors. It’s commonly prescribed for chronic conditions that might involve problems with clot formation, such as coronary artery disease, atrial fibrillation, knee or hip replacement, and immobility. However, warfarin has several disadvantages. For one, it takes time to deplete already-formed clotting factors; clot formation may not decrease until 48 to 72 hours after warfarin therapy begins. Also, if the patient receives too much warfarin and is bleeding, no precise antidote exists. Although vitamin K can be injected to trigger the liver to resume making clotting factors, clotting activity may not return for 48 to 72 hours. In severe overdose and bleeding, blood products containing clotting factors may be given to stop the bleeding; however, the liver still needs time to restore a normal level of clotting factors. Patients on warfarin need to have frequent blood tests to evaluate its effectiveness and allow dosage adjustment if needed. The desired prothrombin time (PT) is 1.5 to 2.5 times the control value; the desired International Normalized Ratio (INR) is 2 to 3. If a drug is added to or removed from the patient’s regimen, warfarin dosage may need to be adjusted. 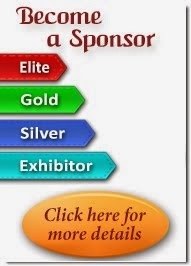 As with any drug used to alter coagulation, be sure to provide education and support. This drug was approved in 2010 for the prevention of stroke and blood clots in patients with nonvalvular atrial fibrillation. Rather than affecting clotting-factor formation, it inhibits activation of a clotting factor, which stops the clotting cascade. Dabigatran has become the drug of choice for preventing clots in patients with chronic nonvalvular atrial fibrillation. It interacts with few drugs and its effects aren’t altered directly by liver function changes, so patients don’t need frequent blood testing to guide dosages. Because its half-life is 12 to 17 hours, the drug’s effects linger after the patient stops taking it. Teach patients to use all tablets within 60 days of opening the bottle. Instruct them to swallow tablets whole without cutting, crushing, or chewing. Advise them to protect the drug from humidity and light exposure. Because no antidote exists, caution patients to stay alert for signs and symptoms of excessive bleeding, such as excessive bruising, easy bleeding from minor injuries, and bleeding from toothbrushing. Stress that they shouldn’t stop taking the drug suddenly because cardiovascular problems could result. This drug was approved in 2011 to prevent deep vein thrombosis after knee or hip replacement surgery and to reduce stroke risk in patients with nonvalvular atrial fibrillation. It affects clot formation by inhibiting activated clotting factor. It has a shorter half-life than dabigatran (5 to 9 hours), so it clears from the body faster and its effects don’t last as long. No specific antidote exists. Caution patients not to stop taking rivaroxaban suddenly because this may cause a sudden reversal of effects, triggering a stroke. Inform them that combining rivaroxaban with other drugs or herbs that affect coagulation could lead to excessive bleeding. 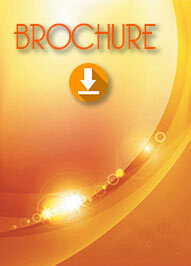 Help consolidate required blood withdrawals so the patient has fewer chances to bleed. Clearly document in the chart that the patient is on this drug, to alert other caregivers that invasive procedures could lead to blood loss. Use compression dressings over areas that could bleed. At least once during each shift, assess patients carefully for signs and symptoms of bleeding. Evaluate clotting-test results to help determine the drug’s therapeutic dosage, if appropriate. To help prevent or check for possible interactions, ask patients about all drugs, herbs, and other supplements they’re taking.